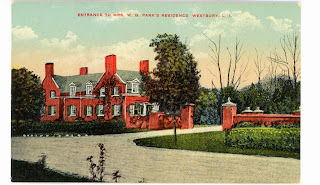 The entrance to 'Ivycroft', originally the Perry Tiffany estate designed by Gage & Wallace c. 1891 in Old Westbury and pictured here under the subsequent ownership of William Gray Park. Click HERE and HERE for more on 'Ivycroft' and HERE to see a brochure from when the estate was for sale. Such a strange journey for a house: built large but then at least doubled in size only to then start dying a slow death by amputation. I was looking at the listing again. It's so sad what happened to it. It was so beautiful in it's original form and with it's both wings. It just doesn't look right anymore. It seems to have lost it's historic meaning anymore. I love LaSelva, Framewood, etc, which are still beautiful. house is being fully restored, wings being added back on too. I love the caretakers house that's on I.U. Willets....even it being yellow. But am I correct that the brick wall no longer stands? I don't seem to remember seeing them. Maybe I'm wrong, the June 11th,2012 post shows a much larger and different caretakers house. The house I'm thinking of must belong to another estate. BCD you certain about the house being restored and returned to its original appearance? 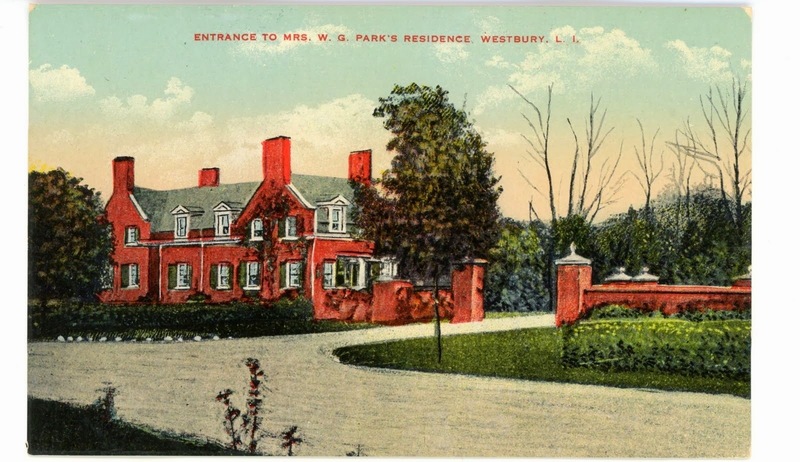 That would be a first for Old Westbury. Its sorry present condition almost makes it a guaranteed tear-down.